Sleek yet practical, for a contemporary kitchen. 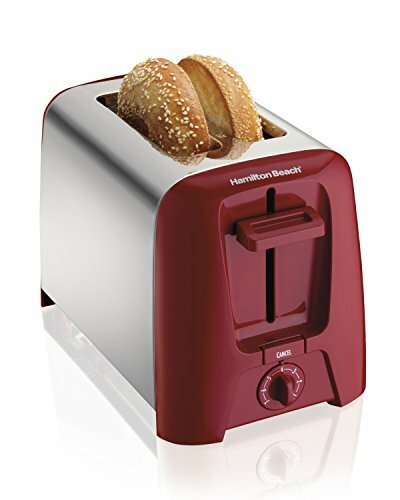 Hamilton Beach 2 Slice Toasters are popular not only for their expert toasting performance -- they also look great in your kitchen. Wider slots and smart buttons allow you to uniformly toast and warm bagels, English muffins and other breads and advanced toasting technology ensures consistent results with each use. For convenient toasting, these popular 2 Slice Toasters come equipped with toast boost and automatic shutoff; the slide-out crumb tray makes cleanup a snap.